That Cat should have been in church! Post subject: That Cat should have been in church! 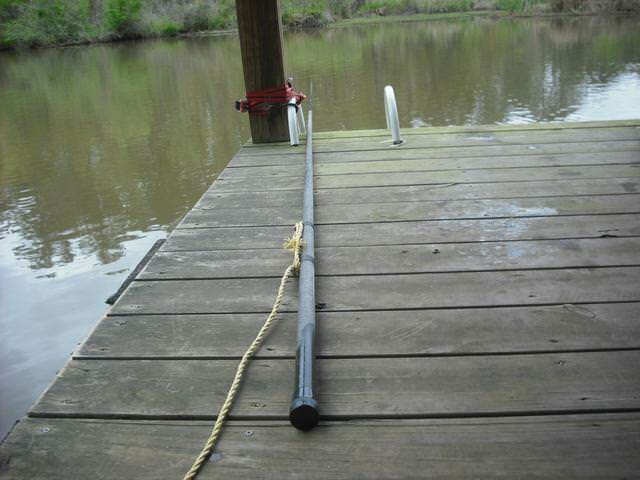 I have a long telescopic pole that I keep secured to a post on the Dachshund’s Dock. The Pole was a gift from Mr. Tony Briggs and it has been the demise of several Cats this year. The water is about 5ft deep in this spot so I put just enough line on it to almost, but not quite touch the bottom. I simply freeline it with no weight and a 2/0 Circle Hook. I then bait it with a live fish or on occasion, a Bream head. This morning before leaving to teach my Sunday School class I put a Bream head on and tossed it out. 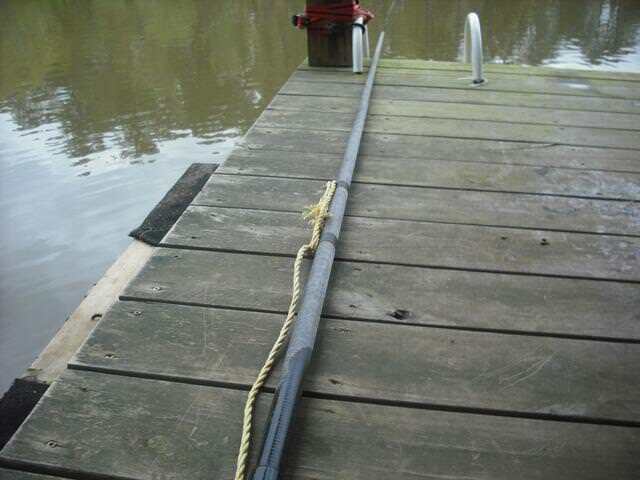 After returning home from lunch I discovered a nice Flathead Cat making my pole do the dance!! "Be Ye Fishers of men. You catch 'em and He will clean 'em"
Post subject: Re: That Cat should have been in church! 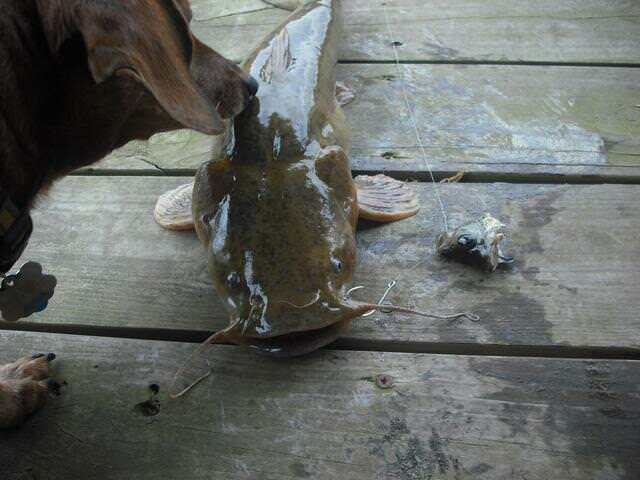 Nice Flathead ya got there, Horace!!! 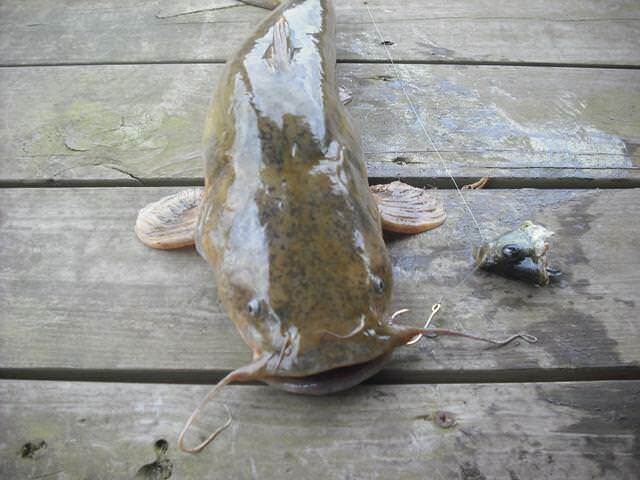 Bullheads, channel cats, Blue cats, and that Flathead....did I miss any species?? Good catching, especially when you are not even attending your rod/pole...LOL! !